Four-and-a-half kilometres of murky Gironde waters separate the towns of Lamarque and Blaye. Bridging this gap between the Médoc and Blayais territories is a regular ferry connection; we give you the “bac Lamarque-Blaye”! Every year around 50,000 vehicles and 150,000 passengers utilise the service, operated by the Gironde conseil général’s TransGironde network which mainly comprises bus routes and school bus lines. 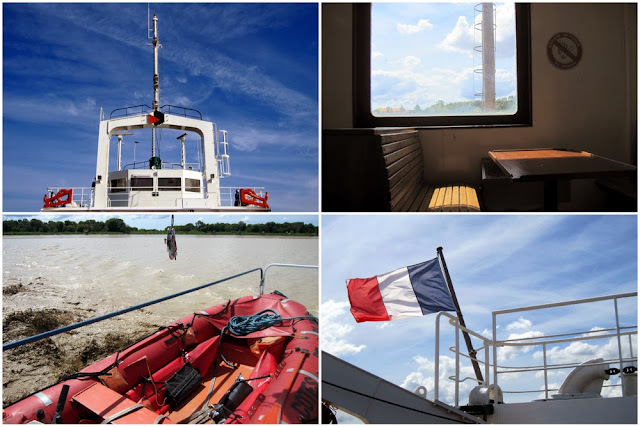 Although I seem to recollect spotting several identical ferries in the past, the line’s official website refers only to a single one, the Côtes de Blaye. The 530-ton ship, built in 1970 by the Nantes shipbuilder Chantiers Dubigeon (founded in 1760 and which folded in 1987), is 51.5 metres long, 12.3 metres wide, and manned by a six-strong crew. It can carry up to 40 vehicles and 350 passengers, reaching speeds of up to 11 knots (around 20 km/h) over the course of the 20-minute crossing. Another boat is on its way though and will in all likelihood replace the ageing Côtes de Blaye in February 2014: Boulogne-sur-Mer shipbuilders Socarenam are currently putting the finishing touches to a new 13-million-euro, 60-metre vessel of a similar capacity, the Sébastien-Vauban. It is not necessary to book ahead unless you’re looking to travel with a coach or similar outsize vehicle, and travellers pay once on board. There are between five and ten crossings daily in both directions (the figure changes according to the time of year). A standard single ticket costs €3.20, the concession single fare is €2.50, while children aged 4 and under and disabled passengers travel free of charge. In addition, taking a car on board will set you back a further €13.90 while it costs €1.70 to board with a bicycle. Meanwhile an identical charge of €7.80 is applied to motorbikes and horses! The familiar sight of boats crossing between Lamarque and Blaye goes back several centuries. Originally, the route was mainly used to transport cereal, wine and firewood, with passengers being carried across the Estuary in their hundreds for annual fêtes: towards Lamarque for the Saint-Barthélemy fair every August 24th, and over to Blaye for the Sainte-Catherine festivities every November 25th (still today a special timetable is applicable on the day of “la Foire Sainte Catherine”). The scene yesteryear in Lamarque, when pigs ruled (photo from information panel). The scene today and no sign of any pigs. The regular line which is still operational today was introduced in 1934 and has developed into an essential transport link for many locals, as well as being used by tourists, not to mention pilgrims en route on foot (or bicycle) to Santiago de Compostela in north-western Spain, for whom Blaye is a longstanding stopover on one of the variants of the “Via Turenensis” route from Tours. 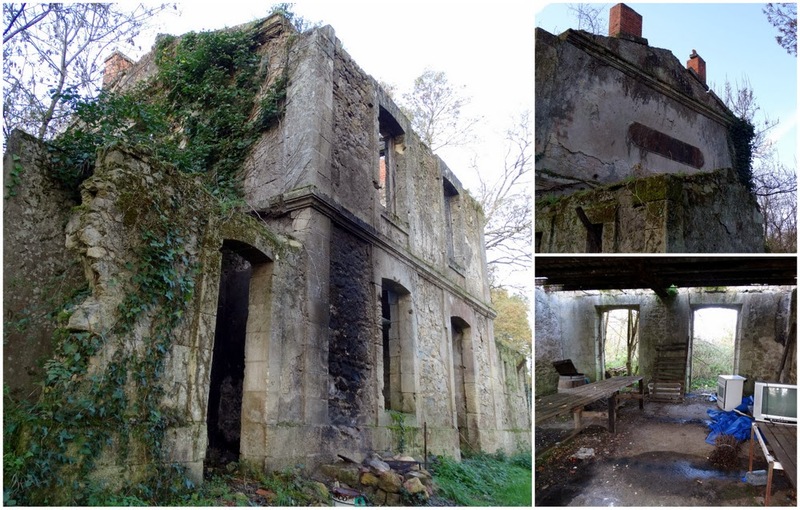 Disused waiting room (salle d'attente) on the Blaye side of the Estuary. A place to rest for pilgrims? Interestingly, in the latter years of the 19th century, plans were drawn up for a railway line to connect nearby Moulis (and the established Bordeaux-Le Verdon line) with the port in Lamarque, to facilitate the transport of goods to the water’s edge. Much of the infrastructure was built in the mid-1880s to accommodate the line, including level crossings and stops in Cussac and Lamarque. But, for “administrative reasons” (according to the information panel which retraces the story), the plans were scrapped 20 years later, the tracks were never laid and the rail link was never to be. However, clues do remain in the village of Lamarque, such as the road named “Avenue de la Gare”, no doubt in reference to the stop there which never actually welcomed any trains! (Although it may also arguably be a reference to its status as the road out of Lamarque towards Moulis and its station.) And down by the river, there are remains of what should have become the “gare maritime”, serving as the link between rail and water. Thanks to some sketchy information found on visites.aquitaine.fr and a few minutes spent on Google Maps, I was able to track down the phantom Estuary-side station. Located a few hundred metres north of the modern ferry port, it can be reached via a track which was very muddy the day I was there. Reaching the station also involved carefully cycling past khaki-clad hunters with guns (hoping not to get them upset for whatever reason) and contending with their energetic hound! I did make it though and saw that, today, the two-storey building lies virtually in ruins. 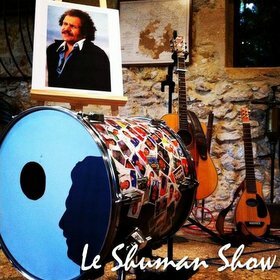 It possibly serves as a makeshift workshop and meeting point for fishermen who spend their days on the nearby "carrelet" fishing huts. It also appears to have become a minimalist rubbish dump with a TV set and cooker seemingly abandoned inside. Presumably the planned railway line would have followed the approximate course of today's muddy tracks. Whatever, the place now feels far removed from any form of rail transport and forms a peaceful setting where the only noise is the sound of the Gironde waters beating against the banks and the carrelet structures. Near the well which dates back to the same period as the ghost station, the fishermen have set up a semi-permanent picnic table and benches with an unbeatable view over the Estuary! Back to our ferries though! To sign off, may I go on record as saying that whether heading towards Lamarque or Blaye, the crossing is a pleasant breath of fresh air and a welcome reminder that travelling isn’t just about the destinations but also about the journey itself! And, as a unique bonus, the ferry is the best way of viewing, albeit from a distance, the fortified structure on the mid-Estuary Île-Pâté, one of the components that make up “le verrou de l’Estuaire” (the bolt of the Gironde estuary), dreamt up in the late 17th century by the military architect and engineer Vauban, he whose name has been given to the boat which is soon to enter into service! Passing by Île-Pâté, where the Vauban fortifications peek over the trees. 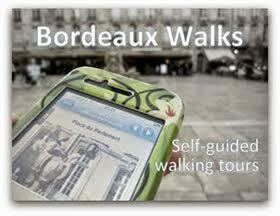 Find them: Lamarque ferry port, Blaye ferry port, Avenue de la Gare and ghost railway station, Lamarque. 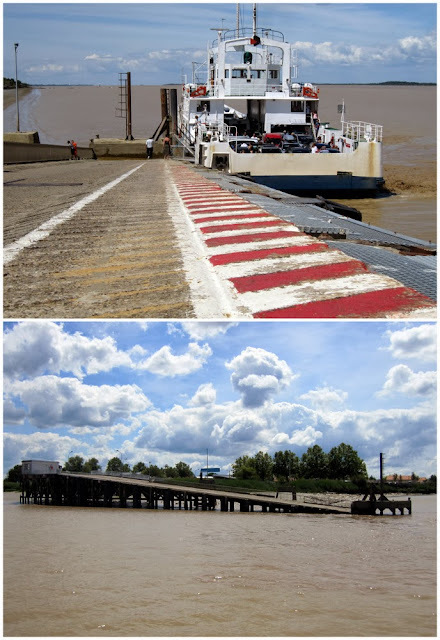 Practical information about the Lamarque-Blaye ferry crossing on the TransGironde website, http://transgironde.gironde.fr, with full timetable here. Great read this one... was up in blaye the other week and it came up that we've never done the river crossing. Definitely a must do this summer! Very interesting about the phantom station also. If you opt for next summer you'll be boarding the swish, new ferry! Thanks for the feedback and, yes, we still have to get our act together as regards our St André de Cuzac subjects! Tapa’l’œil photo exhibition until December 14th!